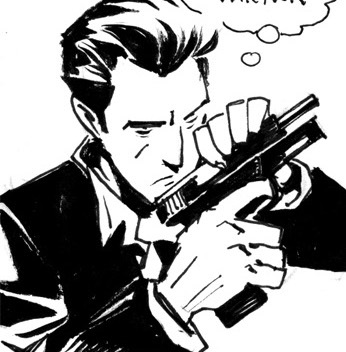 Gunning For Hits #4 Final Cover! As Martin closes in on signing Brian Slade, Slade’s bodyguard threatens to torpedo Martin’s plans. Stunted Growth begins to record their debut album, but Slade is lurking with evil intent. Plus: don’t miss this issue’s background feature and Spotify playlist! Thanks to everyone for all the great reviews and help spreading the word about GFH! physical copies - use the Comic Shop Locator to find a comic shop near you! Available at your local Comic Shop, or if you don’t have one nearby or would prefer to read on a tablet, it’s available for pre-order now on Amazon Kindle and the Comixology app. Reviews of #1 Are Pouring In - Thank You! Stop by Harrison’s Comics on Essex Street in Salem, MA between noon and 4pm on Gunning For Hits street date and Jeff will gladly sign your copy (or any Bowie stuff he worked on)! Street date is January 9th, 2019. Stay tuned for event announcements, signings and such. I’ve never heard this story about Bowie’s fear of being killed at a gig in Ireland in 1987. Some of the paranoia came from the Troubles, but there was apparently paranoia lurking after Lennon’s killing 7 years earlier. Gunning For Hits on The Beat! New interview with Zach from the Beat, a great comics website. We delve more into how Bowie inspired Gunning For Hits. Here’s an interview in advance of an a Bowie Presentation I did at the Palace Danbury in Connecticut, while touring around the Northeast. It’s brief, but the interviewer, geez, dude. 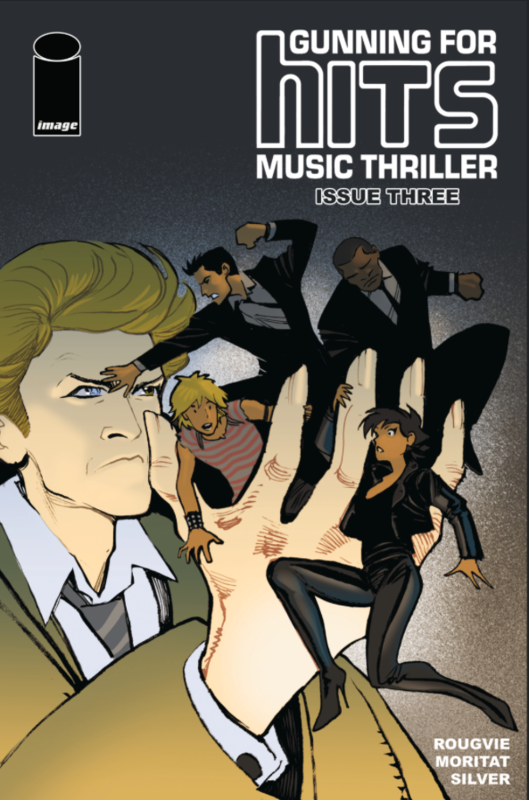 "One To Keep Your Eyes And Ears On" - Thanks Comics-Now.com! More great art from Moritat! L-R (Gerry Duggan, Joe Casey, Jeff Rougvie, Jen Bartel, Kieron Gillen, Stephanie Hans, Jason Aaron and Daniel Warren Johnson. Sean Edgar moderating. Read about the NYCC panel where GFH was announced. The announcement was made by Sean Edgar of image and the panel featured GFH writer / creator Jeff Rougvie, alongside Jason Aaron (Southern Bastards, The Goddamned), Gerry Duggan (Dead Rabbit, Analog), Jen Bartel (Blackbird), Kieron Gillen (The Wicked + The Divine, Die), Stephanie Hans (The Wicked + The Divine, Die), Joe Casey (MCMLXXV, Jesus Freak) and Daniel Warren Johnson (Space Mullet, Murder Falcon). Read about it here, thanks to out friends at the Beat! GFH starts during the mid-80's during Martin’s adventures in the music business, but his entire life story has been plotted out. Find clues about his pre- and post-music business life here. Here’s a video interview with Jeff from New York Comic Con on the SYFY network. Set in the shady New York City music scene of the mid-80s, GUNNING FOR HITS stars Martin Mills, a record company talent scout with an inscrutable past. Follow Martin as he attempts to sign a rock band that’ll conquer the world. Plus: each issue will include a background feature and a Spotify playlist. 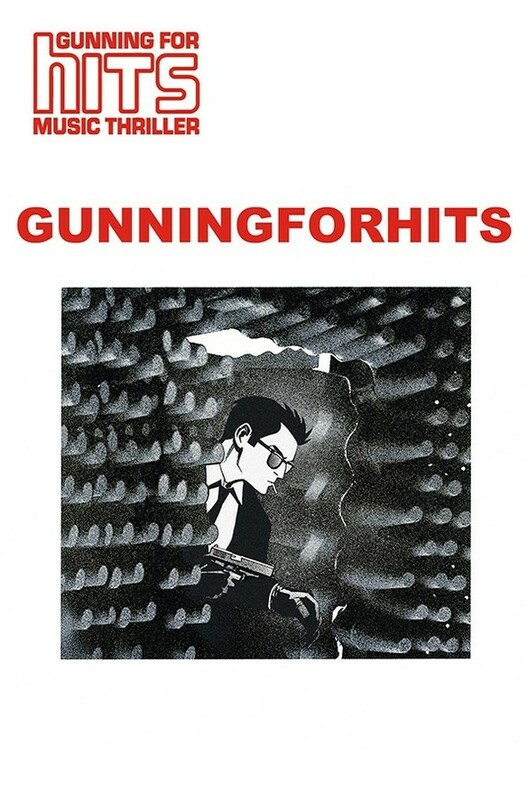 Rougvie and Moritat handed out a very limited Gunning For Hits promotional jewel case with a mini-comic teaser trailer inside at New York Comic Con, 120 copies - most of which were signed. Read more about it here on Bleeding Cool. The rear card of the CD-jewel box packaged teaser for GFH. Ask at Artist Alley table C4, and pick up some great art and prints from Dan Veesenmeyer while you’re there! GFH author Jeff Rougvie will be a special guest on the Image Comics panel “We Believe In Vision” at 2:45 on Friday, October 5th at NYCC in room 1A24. The misadventures of Martin Mills, a mysterious record company talent scout in the mid 80’s New York Music Business.